Farah Khan’s latest multi-starrer ‘Happy New Year’ which made a smashing hit at the box office has added yet another success feather to its hat. Buzz is that, Happy New Year has the great opportunity to be in the prestigious Oscar Library. This news was shared by the filmmaker herself via Twitter. Thanking her writers, Farah had tweeted, “1 more reason 2 celebrate!! #HNY script goes to the Oscar library!! Bigg kiss to my co writers @mayurpuri n Althea k”. Starring Shah Rukh Khan, Deepika Padukone, Abhishek Bachchan, Sonu Sood, Boman Irani and Vivaan Shah, ‘Happy New Year’ is written by Mayur Puri and Althea Kaushal. 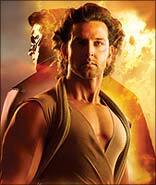 Although the film received mixed reviews, it has become the highest grossing movie ever in Bollywood. As per reports, the script of HNY finds itself a place in the Core Collection of Library of the Academy of Motion Picture Arts and Sciences. It will be used for research purposes by film students, filmmakers, writers, actors and others from the field of cinema. Incidentally, Shah Rukh Khan’s earlier films namely ‘Devdas’ and ‘Chak De’ too have entered the Oscar Library.